I first became involved in filmmaking with my friend Brad in grade 7. He (or I suppose his mother) had a Eumig 8mm home-movie camera. (Video-production equipment in those days–1972–was large, expensive, and existed only in professional studios.) With this fantastic resource in his possession, Brad was keen to make films, and so was I. We did some short films and some animation on Brad’s Eumig, but ran up against the problem that to make something more than the most rudimentary film, you had to be able to edit the film. Later, as we got into junior high school, we were delighted to find that the school owned a new, high-end Canon super-8mm film camera. Goodbye Eumig–this was what we wanted to make movies with now. Our real opportunity came in grade 10 in 1975, when, as the final big assignment of the year, our English teacher told us to form groups and create an audiovisual or other media project of some kind. Fantastic! Here was our chance to get our hands on some school time and equipment to make a film! Brad and I jumped to it and started writing a film script. It would have to be silent, of course–movie sound technology was far beyond our reach–but we could do a lot with silent film. Brad wanted to do a story around a strange, mysterious instrument that had belonged to his late father, who had been a marine electrician of some kind. Labeled a “field strength indicator”, it was a fist-sized gray box with a needle-dial, a single rotating knob, and an extendable antenna like on a portable radio. We didn’t know what it was–it was just a device of some kind. As far as we knew, it didn’t actually do anything. But from this prop grew a story which we called, imaginatively, “The Device”, a Cold War satire told from a Keystone Kop perspective. To give our Cold War story bite, our device needed to be a secret weapon of some kind. We hit on the idea that whoever held the weapon could simply point its antenna at some object, twist the knob, and that object would simply disappear–disintegrate, vanish. This relatively simple movie effect could be done in-camera, and also gave us a plausible Doomsday Weapon for our story. Fantastic! This would make a cool story–and we already had the prop! 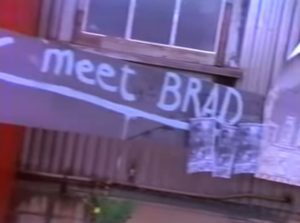 Excitedly, Brad and I spent hours and days in his living-room, scribbling lists of shots on sheets of looseleaf, unfolding our complex satirical farce. At age 16 I was (co)writing my first film script. I didn’t know it at the time, but writing a silent movie is perhaps the best scriptwriting training, because it forces you to think of how to tell a story purely with pictures–and this remains the key skill of the scriptwriter, even one who has dialogue at his disposal. There was no typing; our finished script was a rumpled sheaf of looseleaf pages of scribbled shots, crossings-out, and marginal notes. Armed with this, we innocently undertook the shockingly difficult task of producing our own 30-minute movie. With our friend Tim, who had a job and therefore money, as our third producer, we spent weeks on various locations around the city, mainly in parks, shooting our madcap farce (which ends by “disappearing” planet Earth when a little kid points the device at the ground). Indeed we never finished filming by the end of the school year, and had to show our teacher Mr. Ryan our script and all our raw footage so he could give us a mark. We pushed on filming through the summer, and continued to work on postproduction in our off-hours when we started grade 11 in the fall. We didn’t actually finish “The Device” until we were most of the way through the school year. One of our production expenditures was to buy editing equipment for super-8mm film: a viewer with two hand-cranked reels for film, and a splicing block that made precision cuts to the film and allowed us to splice lengths of film with transparent editing tape. Finally we had the tools not only to shoot a film, but to assemble it. Setting up our editing bench in Brad’s spare room (which also housed his piano), Brad and I gradually put together the film, adding scenes and sequences as they were filmed and developed. Getting some coaching from my father, we set up our editing room with proper gear such as a board with pins on which to hang strips of film, using a lined wastebasket to hold the tail-ends of longer clips. We cut and recut, winding and rewinding the emerging scenes to view them on our little viewer–the first audience for our growing movie. I learned that I loved editing film. When you shoot a film, often with multiple takes of each shot, there is no sense of story when you develop the raw scenes. The story emerges–or reemerges–in the editing process. Find the right points to make your cuts, and you develop a seamless, flowing story (provided it’s been shot properly). We fiddled and fussed, trimming frames, taking shots out, putting them back in, and rolling the film through the viewer one more time. We discovered that we needed more or different shots, and added these to our list for future shoots. We did one such pickup shot–a closeup of a note taped inside a newspaper–out on Brad’s patio while taking a break from editing. All this by way of saying that I developed an early appreciation for the importance of editing in the filmmaking process. In a sense a film editor is more like a scriptwriter than like a member of the production process. It makes a big difference how a film is edited, and indeed film editor is a big creative credit in the movie business, along with the writer, director, cinematographer, and composer. Editing was the next hurdle for our TV pilot The Jellybean Odyssey, but I’m again going to have to save that for next time. The effort to make the best possible pilot episode had the crew working long hours and pushing the envelope every day. 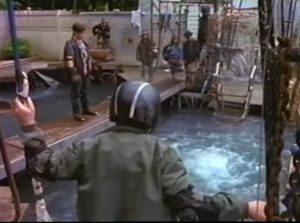 I remember that on the last day of filming they ran out of time and had to find a substitute location for what was also the last scene in the script: when Jay has been saved from drowning in the downworld swimming pool and has re-befriended his waking-life companions Keith and Donna in the guise of Flash and Alpha. He’s got his telescope back, and he’s got to get it to his father and get himself home. The three heroes set out down the road to adventure. Filming here in North Vancouver, the crew needed somewhere nearby. The locations manager came up with the idea of filming the last shot on the Burrard First Nations reserve, a short way along the waterfront from the old Versatile Pacific shipyard. 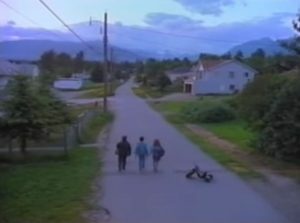 He got permission from the band, and there they went with a crane to shoot the final shot of the pilot: craning up as the three kids walk down a road that is suburban and familiar, and yet also different and hard to place. The set people put an abandoned tricycle and maybe one or two other toys on the road to add a slightly forlorn and mysterious touch. It worked perfectly, I thought. We had not only survived the rigors of working with the hot-tempered director Jorge Montesi–he had delivered an excellent piece of film. Because he was in such demand, I don’t think he was even able to supervise a full cut of the episode beyond a rough cut before he had to leave for his next gig. But the scenes he had already put together were terrific, we thought. I remember saying goodbye to Jorge at the Omni-Film offices. With that he was gone. Getting the show ready to broadcast would be the task of Michael Chechik and the postproduction team. And it turned out that the adventure of getting our show made was not yet over. 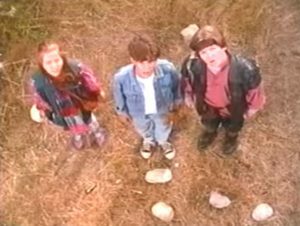 In part 19 I left off talking about the production in summer 1991 of the pilot episode of the series we were calling The Jellybean Odyssey. It was going well, but a nagging problem was coming to a head: the local CBC executive charged with supervising our show, David Pears, wanted a certain scene from the script removed. In those early days, Warren and I, still ignorant of the filmmaking convention that has a script’s scenes numbered only when it is budgeted by the production department, had numbered the pilot’s scenes ourselves. 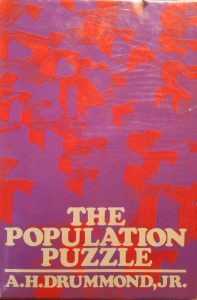 The conflict was arising over the scene numbered 49: a scene in the climax of the show in which Jay, undergoing a medical crisis of elevated intracranial pressure that could quickly kill him, has a strange, intermediate-world experience. In the downworld of his coma-fantasy, he has just been dumped into a swimming-pool by the young thugs who have taken him captive. As the pool foams strangely and Jay remains submerged, he suddenly finds himself emerging from a different pool in a strange space–one in which his mother Val is standing nearby. In a calm, surreal exchange, she begs him to come home, and he calmly tells her that he cannot–he has to retrieve his dad’s telescope. With that, he plunges back into the water, to be pulled out of the swimming-pool back in the downworld, and saved from immediate death in the upworld. Just about everyone liked scene 49. Warren and I, the writers, certainly liked it. Michael Chechik, the producer, liked it. Jorge Montesi, the director, liked it. The only one who didn’t like it was Pears–and he made it clear that it had to come out. Michael, in his nice, accommodating way, kept trying different ways to cajole Pears into accepting scene 49, all to no avail. Pears warned him not to waste budget filming that scene, because it was not going to wind up in the finished show. So, with the show in production and scenes actually being filmed, the argument was coming to a head. One morning we were to have a supposedly decisive meeting on it right in the suite of CBC rooms being used as the production office for the show. Pears wanted to put the scene behind us once and for all. Just before the meeting I decided to prepare a presentation. I went to the art department to beg a sheet of chart-paper and a felt marker, and drew a decision-table, using some of my business-analytical skills cultivated in my work at ICBC. I listed the positive and negative features of scene 49 in a kind of cost-benefit analysis of using the scene in the show. Armed with my chart, I went into the meeting, held in a tiny little office, and, pinning it to the wall, made my pitch for scene 49. I took each of the reasons that Pears had given for why the scene should be cut and countered them with positive reasons why it should stay. Pears thought the scene would be confusing for the audience–they wouldn’t understand what was going on. And he thought, most of all, that it “blew the tension” of the whole series–that it short-circuited the goal of the series by having Jay come into contact with his mother. Now it would seem that they had a secret deal or understanding that they were both complicit in his being unconscious. 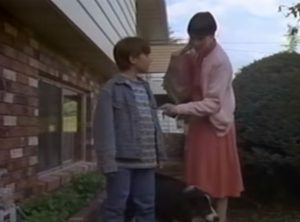 I argued that the tension was not “blown” at all; the “meeting” of boy and mother was happening in some unconscious, emotional realm in which they simply expressed their connection and love for each other; it was a spiritual scene, with a weird, symbolic setting to emphasize the fact. The kid audience would in no way be confused by it; they would understand immediately that this scene was happening in a special space relating to the life/death urgency of Jay’s situation. Scene 49 did not ruin our show–it made our show! As I made my pitch, I noted that Pears enjoyed the presentation. He seemed to like the creativity of using an analytical chart to sell the scene, and liked being the audience of such a pitch. He smiled. But it was to no avail. Scene 49 blew the tension of the whole series, and would have to go. We on the production side just couldn’t accept this. My fear was that in the press of production, scene 49 might become a “luxury” scene that, if we ran short of time or money, would not get filmed. But Jorge had made up his mind on it. When I saw the scene on film I knew it was dynamite. To cut this scene out of the show would be an instance of the worst kind of network interference–a deliberate step toward making an extraordinary show mediocre. It was the climax of the climax–the heart of our show! Imagine wanting to cut it out! As was customary, Jorge supervised the first edit of the show, and put in scene 49. Would the network really make us rip it out? In the event, talk about cutting out scene 49 subsided. We, the filmmakers, didn’t bring it up, and neither, anymore, did the network. I suspect that what happened was that Angela Bruce and the executives in Toronto liked the scene, and overruled Pears. I was just thankful that we’d got it on film. The film looked great over all: imaginative and filled with “edge”. Jorge had brought a nice, adult-network look to our kids’ show. The next problem was getting it edited into a workable story. In the first 5 parts of this series we looked at the early stages of the process of creating a fictional character, which got us to combining a few archetypes to form the nucleus or chassis of the character. Now what do we do? One thing to bear in mind is that no part of the story-creation process can be done altogether independently of the other parts. The story, a work of art, is a whole, and its various parts must all change and adapt together in order to realize the fulfillment of the whole work. If you change your plot, then you must also change one or more of your characters, even if only slightly. And if you change your theme or the controlling idea of the work, then that will imply big changes to plot and character–and everything else. Similarly, when doing the initial creation and shaping of characters, it must be done with the aims of the whole work in mind. A character is not created in a vacuum, but right from the start has a mission to fulfill in the story; every character has a purpose, and needs to be designed in order to best fulfill that purpose. An important point is whether a character is going to undergo change in the course of the story. Character change is always a key part of the theme of a story; it is through showing the change in a character that an author makes his strongest and most emphatic points, at least at the moral level of a story, which is the level most important to a story’s artistic success. Consider A Christmas Carol by Charles Dickens. Ebenezer Scrooge, the dour, callous, solitary miser, undergoes one of the most profound and memorable changes of any character in literary history, turning into a generous, affectionate, and joyful man. It’s a mark of Dickens’s genius that he makes such a vast change believable. By having recourse to the supernatural–by having Scrooge visited by ghosts–he is also able to bring about the change in a single night: Christmas Eve. 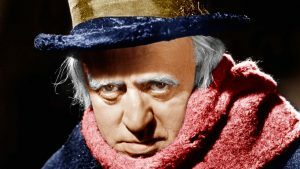 We see how Scrooge’s unhealed wounds from youth have turned him into the hard man he is, and we see how Scrooge’s late partner Jacob Marley and the three ghosts of Christmas administer the tough love that Scrooge needs in order to see the light–and not just see it but become it by changing his behavior and his life. The three ghosts skillfully work Scrooge’s character, adjusting it the way a chiropractor adjusts the alignment of your joints. They put him through the wringer and scare him to death. A Christmas Carol is an example of positive character change. In general this is the pattern of comedy in the widest sense: stories that have happy endings. The opposite is tragedy: stories in which the main character changes for the worse. Here an example is Macbeth by Shakespeare: a Scottish noble, driven by ambition, murders his king in order to gain his crown, and he finds that in order to hold it he must double down and keep killing–and it doesn’t end well for him. A more recent one is the TV series Breaking Bad, which might also be called The Tragedy of Walter White. A third pattern is one in which the main character does not himself change, but he brings about change in the characters around him. An example of this was the 1936 movie Mr. Deeds Goes to Town starring Gary Cooper and Jean Arthur, which I watched last weekend. Deeds, played by Cooper, is a decent, sensible, and eccentric small-town man who is whisked off to New York when he inherits a large fortune from a distant uncle. There he becomes a laughing stock among the cynical socialites, but those who are closest to him, such as the reporter (Arthur) who inveigles her way into his life and his streetwise personal assistant, find themselves first touched and then changed by Deeds’ integrity. A more recent example is Beverly Hills Cop, the 1984 movie in which Eddie Murphy, an irreverent maverick cop from Detroit, transforms his straitlaced California colleagues into more relaxed versions of themselves. A still more recent example is the 1994 movie Forrest Gump. In storytelling, character change is known technically as the character arc, and the 3 kinds of change stories outlined here are known as positive-change, negative-change, and flat arcs. While good stories can be created that do not feature any kind of character change, stories that do feature character change tend to be the best and the most powerful. Creating characters who change, therefore, is an advanced technique used by storytellers who want to develop the best possible stories. So in the process of creating characters, you need to determine what kind of story you’re writing in terms of character change. If you’re writing a James Bond–style action story, there may be no character change; but if you want to write something more sophisticated, something that has significant moral meaning, then you should plan to show characters undergoing change in your story. As for what kind of character arc to create, that depends on the view of the world that you want to present. The basic view underlying the positive-change arc is that virtue leads to happiness, with the specifics of which virtue and what kind of happiness being determined by the needs of your story and what you want to say. Broadly, this is the story plan of comedy: stories that have happy endings. The negative-change arc, on the other hand, the arc of tragedy, shows how vice leads to misery or disaster. Just as comedies are inspirational tales, showing the audience how to live, tragedies are cautionary tales, showing the dangers of the dark side. Both are valuable, edifying, and emotionally satisfying for an audience if done well. Some writers, such as Shakespeare, are adept at both. Others prefer to stick to one form. The flat-arc story lends itself to comedy, although there may be tragic stories in which a main character corrupts others around him without undergoing change himself (I can’t think of one offhand). In general I would say that if you reverse the polarity of these arcs, that is, show that virtue leads to misery or vice to happiness, then I would say you are writing a black comedy. I had not thought of this before, but I think this may be a good definition of black comedy: a story in which the consequences of moral actions are inverted. And if that’s your view of the world, then you should by all means write one. This choice, of what kind of arc you intend to present, has big consequences for the way you choose and design your characters. Characters who change need a certain complexity, for some aspects of them change while others do not. You as a writer need to know what those are. And you need to design a situation that will bring about the desired change. There’s lots to do. We’ll pick it up there next time. In the meantime, take a look at my Creating Characters reading list (one of a growing collection). If you haven’t already done so, now would be a good time to catch up on parts 1 – 5 in this series. Enjoyed this post? Help me create more by becoming one of my Patreon patrons. If you’d like to support my work without spending money, I have just the page for you. 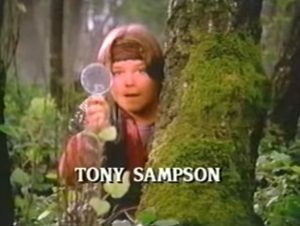 Despite some bumps and anxieties along the path of preparing to produce the pilot of our would-be adventure-fantasy series The Jellybean Odyssey, things progressed quite well and soon, sometime in summer 1991 (August, I think), filming actually began. Jorge was proficient, effective, and creative. The crew was also very skilled and enthusiastic. Often we heard that people loved the show idea and the script, and they went out of their way to give it their all. Warren and I were pleased and relieved that the tree-fort-in-the-ravine idea that we’d written would be filmed after all. Indeed, the locations manager had found a perfect ravine in a park in nearby Lynn Valley–exactly what we’d had in mind when we wrote the script. The park authorities allowed the crew to build a tree-fort in a tree there–as long as they didn’t use any nails, screws, or other fasteners that penetrated the bark of the trees! They ingeniously came up with a sophisticated tree-fort high above the ground, all made with non-penetrating bindings. One sign that Jorge was serious about shooting the script as written was the fact that he actually used a crane-shot that Warren and I had written in (scriptwriting texts tell you not to put camera angles and such in scripts, on the grounds that that is “directing on paper”). But we felt this had a clear story purpose: a crane-shot going up the tree to the tree-fort, to show how high it was. Thus we hear the dialogue of the boys in the fort before we finally see them–after we, the audience, have “climbed” the tree to get there. 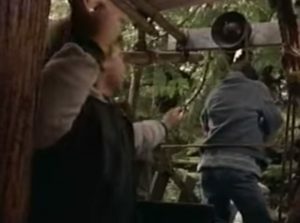 I think they could not get a real crane into the ravine, so the crew rigged a bosun’s chair on a pulley hanging from high up, and they pulled the cameraman, Trig Singer, up by a rope while he did a handheld shot on the way up. Scary–but he seemed completely calm. The boys had to be cued to get into motion at a certain point, moving along the homemade catwalks high above the ravine floor. It took a few takes. I was delighted that the crane-shot went in, and felt that it was a sign that our show was going to be special. Another big item in the pilot was the fall itself. The show’s stunt coordinator was the veteran Vancouver stuntman Bill Ferguson. The fall would be done by his own son, who was about 11 years old himself. I watched Ferguson and his team prepare the stunt–they were there for hours while main-unit filming was being done elsewhere. Ferguson’s team prepared a large collapsible cushion beneath the tree-fort, I don’t remember the materials used now. I do remember that they prepared the stunt with great care. When time to film came, they had at least three cameras running on it. I was impressed by the courage of the young Ferguson, and by the concerned and close-knit teamwork of the stunt crew. It went well, and we spectators burst into applause. Another exciting part of filming was the hospital scenes of the upworld, when the unconscious Jay is taken to emergency. For this, a real intensive care unit (ICU) was used at Eagle Ridge Hospital outside Vancouver. Sadly, this newly built hospital had never had enough funding to be able to actually operate its state-of-the-art ICU; it had only ever been used as a film set! So the location was real, and those were real nurses moonlighting as actors who whisk Jay into his bed for treatment. As a writer, it’s very gratifying to be on the set when your script is being produced (at least, it usually is, in my experience). You’ve done your part already; you’ve suffered and sweated. Now others have to do their bit, and they stride around with colored copies of your script, all marked up with their own technical notes. The actors carry “sides”–miniaturized pages of script, each actor only with the pages containing his or her lines. I ate the snacks, chatted with Michael, who was also more or less an onlooker at this point, and generally enjoyed the status of being an “above-the-line” member of the production–that is, one of the main creative positions, as opposed to the technical and craft positions that constitute most of a film crew. Filming was going very well. But there was a dark cloud on the horizon. There was a controversial scene in our script, which our local network executive David Pears had decided he didn’t want in the show. the number of people you know personally is finite—especially if you’re an introverted writer! This second point is the more important, for, if your story is to achieve its maximum effect and its full potential, it needs to be populated with the right characters to make that happen. Yes, you can make tweaks to your family, friends, and coworkers to get them to fulfill the functions required by your story, but at the end of the day what we’re talking about is altering off-the-rack people instead of tailoring them specially from whole cloth. It’s much more powerful, as well as more useful and more satisfying, to invent vivid characters from scratch. That’s what we’re trying to do here. A proper major character will need to use all of these (minor characters are a different case—I’ll talk about them too in the future). So how to put them together? I admit that I have a slight problem in trying to categorize this story. In my opinion, the author herself was not quite clear about what she wanted to say with it. The story certainly has an epic dimension: its events unfold as Georgia and the Old South are ruined by the American Civil War and reconstituted in its aftermath. 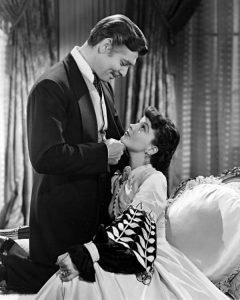 Gone with the Wind is also famous as a romance, with a major triangle formed by Scarlett’s desire for the gentleman Ashley Wilkes, who is married to his cousin Melanie, and her status as the love object of another man, Rhett Butler, a swashbuckling rogue from Atlanta. But in my view the story is really a tragedy, since the pigheaded and purblind Scarlett never wakes up to her own true feelings of “love” (the word must be used in quotation marks for her) for Rhett until it is too late—or is it? The ending is left ambiguous, for Scarlett thinks she can get Rhett to love her again, and . . . she’s used to getting her way! However, Rhett is no pushover, and he seems truly fed up with her. So we don’t know. If you take the view that Scarlett will recapture Rhett’s love, then the story might be classed as what Christopher Booker would call a Rebirth plot: the tragic hero, or in this case heroine, emerges from his flawed approach to life to a new, more fulfilling approach (think Ebenezer Scrooge in A Christmas Carol). Scarlett, by the end of the story, at least has figured out what she really wants, but she still doesn’t know what love is, so there are still big problems ahead. For me it’s a muddle. Because Scarlett remains basically unreconstructed (unlike Georgia) by the end, and she is made up mostly of negative traits, I will class her as a tragic heroine: she has flaws that get the better of her in the end. But in that role she’s a dynamic, larger-than-life character, and, starting from scratch, that’s what we’re trying to build. Since we haven’t created her yet, all we know at this stage is that we want a passionate, headstrong character who stubbornly clings to her negative traits. We have thus already specified her story archetype: she will be the heroine of our story, but a negative or “dark” heroine, a tragic heroine. That is her role or function in the story. The Boss takes charge of her circumstances and makes things happen. She is strong, tough, and gets her way no matter what. She remains unconcerned when she ruffles feathers. Her goals and priorities are far more important than hurt feelings. She is outspoken, resourceful, and persuasive. Winning is everything to the Boss. To achieve her ends, she can be calculating. She will shade the truth in order to gain her object, and she is not above manipulating circumstances to make things go her way. Whatever helps her get across the finish line is all in a good day’s work. Yes, that’s our Scarlett all right. The female counterpart of Don Juan sometimes adds the twist of killing her conquests as an expression of her ability to dominate. As with Don Juan, the Femme Fatale represents refined skills at manipulating men without investing personal emotion. The Femme Fatale is both a sexual and a financial archetype and either comes from or is drawn to money and power. Seducing men with money and power and for the sake of personal control and survival is a classic part of this archetype, although the Femme Fatale is not looking for a home in the suburbs and the pleasures of family life. Yes, there is a close link here with the heroic archetype of the Seductress. Sometimes that happens, probably especially with principal characters. But this still allows us to know our character better. Putting our three archetypes together, we can now say that Scarlett is a tragic heroine whose main motivational engine is that of the Boss, but that her behavior, her way of trying to reach her goals, is often that of the Femme Fatale. She has the hard, calculating, businesslike attitude of the Boss, but she finds that the strongest tools in her arsenal are the seductive and manipulative wiles of the Femme Fatale. Thus Scarlett O’Hara, one of literature’s most memorable female characters. Please note that we have not drawn the whole character here; we have only identified the archetypes on which this character will be based. In doing this I would say that we have formed the armature of the character; we have identified what type of a character she is to be. But in doing this much we have come a long way. Even though our character is not yet fully formed, she already has strong motivations and attitudes; she even has a certain past history, since the book Heroes & Heroines sketches in the childhood experience of each of the archetypes. Our proto-Scarlett is already set to be a dominating presence in a story, especially when contrasted with the insipid, wishy-washy impression that so many fictional characters make. She will overpower any other characters unless they are also established with similar care and firmness. We have finished, for now, with using archetypes for creating a character. What comes next? In recent years some sophisticated tools have appeared that allow the writer to work directly with a character’s inner emotional nature, to give the character a richer inner life and to map out the character’s moral structure. Next time we will get started on that process. Join me! In the meantime, take a look at my Creating Characters reading list (one of a growing collection). If you haven’t already done so, now would be a good time to catch up on parts 1 – 4 in this series.